When you first launch your Virtual Assistant business, there are 1,000 different questions to answer. It’s an exciting time, but, let’s be honest. It can be craaaazy confusing too, right? Most VA’s just starting out have a very difficult time choosing a rate, because they feel like they don’t have the skills and experience to charge the price that they need to make their business succeed. That’s why I’m going to break it all apart for you. I’ll show you how self-employment taxes need to be factored into your rate, how to determine what your starting rate should be based off of your hours/ availability and personal financial needs, and the difference between the various types of packages and pricing for your business. Before you start setting your rates as a VA, it’s important to understand what your tax responsibilities will be. As a Virtual Assistant, you will be considered an Independent Contractor. This means that you are contracted to perform services for others, without having the legal status of an employee. The great news? As an Independent Contractor, you choose how, when, and where to work – for as much or little time as you want! The not so great news? All the work that an HR department would handle for you as far as paying employment taxes, you get to do solo as an Independent Contractor. This means saving for and paying quarterly taxes and submitting all the necessary paperwork required to do so. Something to soften the blow – as an Independent Contractor, you’ll have the advantage of deducting any necessary expenses needed to operate and grow your biz from your taxes. Let me go ahead and throw this out there. From the beginning – record EVERYTHING. There’s nothing worse than coming around to tax time and realizing that your invoices and receipts are all over the place, and missing out on deductions because you weren’t organized enough in the first place. As an independent contractor, you’ll need to save back 30-35% of your gross income to pay quarterly taxes. If you don’t pay quarterly, you’ll likely be hit with late fees when you pay your yearly taxes. As always, it’s best to talk with a tax professional regarding your individual situation. If you’re looking for someone to discuss the details of your tax requirements as a Virtual Assistant, I recommend chatting with Amy Northard. She specializes in accounting for creative entrepreneurs and her advice is legit! When it comes to factoring your rate with consideration of your taxes, we’re going to assume that you’ll need to save back 30% of your monthly income for taxes. 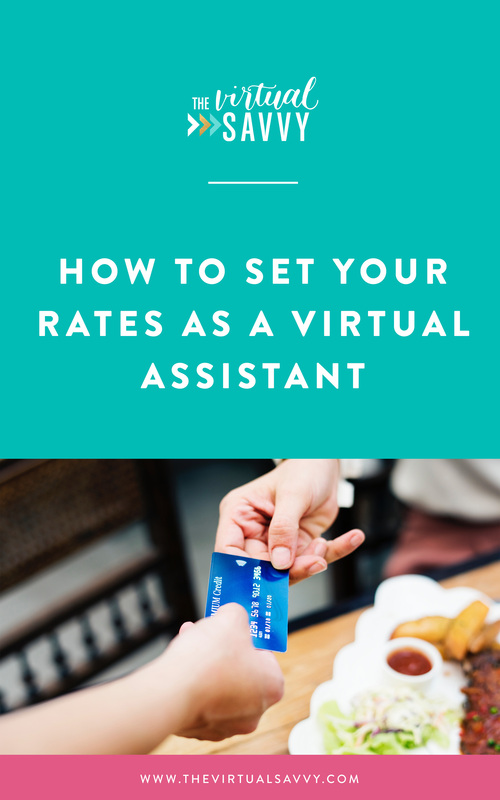 If you are planning to have your Virtual Assistant business be your main source of income, it’s a good idea to determine your rates by working backward from what you need to make. So, let’s say you make $4,000 (gross income) in a month from your VA Services. Now – you’ll want to save about 30% back for taxes. You made $4,000 last month? You’ll save around $1400 for taxes, leaving you with about $2,600 remaining. Need to take home $4,000 each month to cover your bills, fees and expenses? You’ll need to bring in about $5715 for that month in gross profit. Remember – in this article we are talking about coming up with an ideal hourly rate for you. To really grow your business and skyrocket into making 5k-10k months and beyond, you’ll eventually start subcontracting some of the work that you do and targeting high-end clients with specialized services. The purpose of this particular article is simply to determine your base VA rate and monthly budget. Being an entrepreneur is not easy. It’s not something that you can just do in your “spare time” (especially if you are looking for full-time income!). In the beginning, you’ll have to HUSTLE to get clients. You will put in countless hours, wake up early, and stay up late to make the sale. Brew up another pot of coffee… ‘cause there are some late nights in your future. If you have 3 hours to commit per week to start your own business, go ahead and stop reading. I know things are busy. I know your life is hectic. But I challenge you, don’t FIND time in your schedule. Go ahead and decide how many hours you are going to commit to running your business. I suggest making 5 hours per week (at the bare minimum) JUST for building and advertising your business when you first startup. Then, you will have to decide how many “workable hours” you have on top of that. You may have to get a babysitter one day a week. You may have to wake up 2 hours early. You may have to work during nap time instead of watching the Bachelorette. How many workable hours will you have during your week, if you schedule your time well? I challenge you – go ahead and block out your time in your planner or calendar. Decide on the hours you are going to work on your biz and let that time be non-negotiable for change. So – you’ve figured out how much to need to gross per month when factoring in taxes to meet your monthly budgeting needs. You’ve also planned out how many workable hours you will have each week to meet your goals. Now, we will use this information to determine your rate. Let’s say you can commit 40 total hours per week to your business. We will subtract 5 hours for you to work on developing and marketing your business. Now, you have 35 workable hours per week. That’s roughly 120 hours per month that you can be making money in your business. Maybe you’re only able to work part-time on your VA business. We can also work backward to find out how much you could make starting out as a VA.
Jane has 20 hours per week to commit to working on her business. She’s going to spend 5 hours per week developing her business and marketing her services. That means she has 15 hours to commit to working for clients. That’s about 60 hours per month. She is just starting out, so a rate she feels comfortable charging is $27 per hour, at least for her first clients. Let’s subtract the 30% you’ll need to save back for taxes. $1620 x .3 = $486 to save. That leaves you with $1,134 net income for the month! I can’t charge that kind of money! Yes. Yes you can. You have experience and skills that people are willing to pay for! When you factor taxes and expenses for running your business, the take-home rate must be enough for you to live off of! Here’s what you’ll find. If you offer your services at $10 an hour, you’ll get treated accordingly. People won’t respect your time as much and will want to get the best “bang for their buck”. Repeat to yourself: “I am not a discount service”. What’s even the going rate for specific skills? If you have general Admin, Design, or Marketing Skills (data entry, social media posting, simple graphics, basic calendar management, etc) the going rate is $25 – $40 per hour. If you have Advanced Skills (Creating graphics, WordPress Edits, Writing Optimized Content, Course Creation, etc.) you can easily charge $30 – $50 per hour. If you have Specialized Skills (Web Design, SEO, Building Landing Pages, Social Media Strategy, Infusionsoft, etc) your rates should be no lower than $50 per hour. You can go up from there as needed. I have no idea where to start my rates! If you are going back and forth on deciding where to start your rates for general admin work, take this advice. Start out at $25 per hour and sign your first client. Then, with each new client, sign your rates $2.50 more. For your second client, you’ll charge $27.50 per hour. Your third, $30 per hour and so on. Your skill and comfort are growing, so your rates should too. Once you determine your hourly rate, you can decide how you will package your services. Let’s look at the various ways you can package your services as a VA, so you can decide which is best for you. Hourly rate pricing is where you set a particular hourly price for your services, keep track of your time, and bill your client after the work has been completed. Some clients prefer this method, as they know they are only paying for hours that were worked specifically for them. The downfall – you won’t have guaranteed income each month, as some months your clients may utilize your services for 20 hours and some months they may only utilize 2 hours. A Project-Based Package can be used when a client has a one-time project to complete, and you will charge them a flat rate fee for the project. This is best done by approximating how much time it will take you to complete the project and charging at least your decided hourly rate, multiplied by that projected amount of time. This type of pricing is often used for large-scale projects, like a web design, course creation, or social media overhaul package. Often, the VA will collect half of the funds up-front and the other half after the project has been completed. One issue you may run into with this type of packaging is an inadequate estimate of time needed to complete a certain project or service. A retainer is a monthly package for those who need reoccurring help in their business. For example, a client will pre-pay for 20 hours of services rendered per month on a recurring basis. 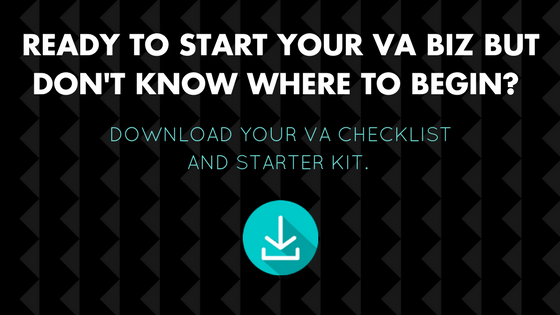 As a VA, you will still need to provide details of how your time was spent each month. This is a great option for VA’s who would like more security and the ability to project monthly earnings. Plus, you will be paid up-front, which means that you won’t have to deal with unpaid invoices for work already completed! With this type of pricing method, your client will pay for a certain amount of hours, to be used at their discretion. These hours are not renewed on a monthly basis. You will keep a record of the hours you have used and, once all hours have been used up, the client can choose to purchase another package of hours or not. It may be helpful to you as a VA to put an expiration on the hours after purchase (example: hours must be utilized within 6 months or a year after purchase). Want to check out some real-life examples of Virtual Assistants who have navigated the pricing journey? *** Remember, these examples are posted to inspire your packages and gain clarification on what a great package looks like. Do NOT copy these packages word for word. That’s called plagiarism yo. 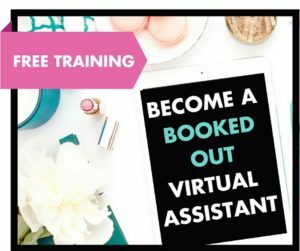 Are you a Virtual Assistant? How do you package your services? What questions do you have about setting your rates and establishing your packages? I really appreciated getting to take a peak at what other websites look like as well as getting an idea of what might be acceptable to charge. Also, how to package services, etc. I appreciate the work you put into this blog. Very informative. This is extremely enlightening and a blessing to read. I started a DIY wedding blog last year and it is taking so much energy effort and time to grow it into a business. I feel so stuck trying to grown because there are no profits to market with. Love your content and this one is so detailed. My biggest takeaway is to remember to save for taxes and to make income goals that reflect it. Also inspiring was to see how other VA’s have set up their pricing. Just a sidenote, I noticed that cobalt virtual services listed on the bottom of the list is broken (probably the site is down and hopefully fixed by the time you read this note). Thanks so much once again for this very useful resource you’ve created. I’m hoping to switch from a corporate job to be a VA. How would you suggest working on starting up my business in my non-work hours? I’m the primary breadwinner for our family and I’d need to make $3k/month to replace my salary. Is it feasible to make that much on the side, or would I need to create more hours in my day (by quitting or going part time) to give my business the hours it needs to thrive? There are many ways to go about this. What I recommend is figure out your hourly rate and the hours that you have available to dedicate to clients. That will be how much you will be making. Now take into consideration that running a business also means working hours that don’t result in making money right away. Like doing the admin tasks. But if you are very strategic with your time and also start saving money for when you first quit your job you can definitely do it! I am trying to start a VA business, based in South Africa, so trying to establish “the going rate” for what I could possibly offer. I have been a sole proprietor and Independent Travel Consultant for many many years now, but business is tough, so I am looking for any way to restore my income whilst still working from my home-based office. My skills are mostly administrative, obviously travel and I am constantly trying to find ways to improve my web / online knowledge. So, i have figured out a name for my business, have been researching a website, uncapped and fast internet, and have put my business bio together. And now I am stuck – the roar of passion has come to a standstill, as I am just not sure if I have anything to offer as a VA? Sure you have had these thoughts too? What would you recommend? Should I do some kind of VA Certification? Thanks for the platform to bare my soul! Help !! THANK. YOU. SO. MUCH!!!!!!! This site was just what I needed to launch out. A very good article. Working as a virtual assistant requires you to fix your hourly rate. It is not an easy task. But your article made it appear simpler. Calculating your taxes is a must. Once you are able to calculate your per hour rates you can go ahead and decide on your package rates. You can begin by charging nominal amount and as the work increases you can increase your rate. The charges should not be too low or you will not get enough attention. If you are starting as a virtual assistant always charge the right amount than a discounted amount. Great read! This is my dream to be able to switch over to VA. However, I am terrified I will mess something up involving legal/tax logistics. Is it hard to get started as far as taxes and whatnot? The legal/taxes aspect can seem overwhelming at first, but don’t worry, it doesn’t have to be overwhelming! I’d recommend you check out this interview I did with lawyer Danielle Liss. This is the best VA pricing article I’ve read! Thank you for making it so simple!! Hi Abbey, Thanks for providing some really useful articles about starting up a VA business. I am based in Sydney, Australia and recently started my own VA business, but finding clients has been hard! Is the VA toolbox included in this course? Hi Leah, the toolbox is included in the VA Bootcamp. I was sitting in my car waiting on an appointment and listening to Christy Wright’s podcast. You were the guest at the end. As I listened, I was clicking around on my phone and came across an article on VA pricing. As a VA, I thought that was a cool sounding article. So I clicked through. Imagine my surprise when I saw the website it was on!!! Great article and you explained it all so well. LOVE your site! Practical and easy to read. I’ve been a VA for two years now, based in South Africa and am finding the need to rethink and reposition myself. I love what I do and look forward to what year three holds for me. Thanks for your insights, positive energy and motivation!! Abbey, thank you for sharing! What a lovely article and the photos are amazing too! I love how you put together these information on these events. Easy to read, very relatable and great tips! Can’t wait to read more! I don’t usually leave comments very often, but this post really fit my needs. I’ve been looking into branching out from blogging and into VA work, but I had no idea which services to offer and at what rates. I love that you gave several examples of other VAs so that we could compare their packages. I especially appreciated the part where you listed each way a VA could set up their offerings. I wouldn’t have thought to offer a Usable Hours Package, but I love that idea. Thanks! Definitely feel free to reach out if you have any other questions Leah! As always, your post was great and informative. I only have one big worry – the taxes / legalities. I live and work in Poland; I would, however, prefer to work for people from the USA. Where do I pay taxes then? Hi Abbey, your post was super insightful. Thank you. My VA business is picking up and I’m beginning to get more clients than I can handle. I’m always busy and it doesn’t look like I’m working from home anymore, I barely have time. I’ve tried working with a couple of people who have failed/let me down and I really haven’t reached my income target so I can’t stop taking clients. What do I do? Hi Abbey, do you have any suggestions on how to tell your clients you set your rates too low and are increasing them? I was one of the VA’s you talked about that set my rates too low not knowing and now I don’t know how to fix it without losing clients. Fear not! 🙂 This is a situation that I see all to often, unfortunately, but there is a solution! I recommend that you have a meeting with each current client, and explain to them that you are raising your rates as of X date (make sure to give them at least 30 days notice). In that meeting, emphasis the value you have brought to their business, and showcase some stats if you can! Remember though, it’s *your* business; you’re telling your clients of an upcoming change, not asking for permission or a raise. If you’re fairly certain that one (or several) of your current clients won’t go for a rates raise, I would suggest that you proactively start pitching new clients at your desired fee. That way, if you need to phase one business out and take on a higher paying one, you’re in the position to be able to do that. Think I can use Squarespace to start my own webite for my business? Absolutely! Squarespace is a great option.